Newly appointed Italian National Women’s Team coach Milena Bertolini will visit Juventus tomorrow in preparation for the women’s World Cup 2019 qualifiers. 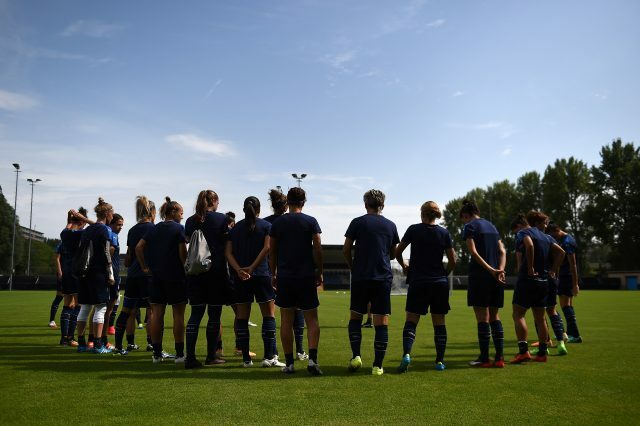 According to the FIGC, Bertolini will start a series of meetings with Serie A women clubs with the objective of reinforcing the synergy with the clubs and share the technical project of the Italian National Women’s Team with directors, coaches and players. Bertolini will visit Juventus Women, who make their debut in the top women’s league in Italy this year and have several Azzurre players on the roster. She will meet with coach Rita Guarino, former U17 coach of the past two years and also visit the Juventus Training Centre in Vinovo. In the afternoon, Bertolini will visit the Centro Sisport of Turin and assist during the training. The tour will continue with visits in the coming days to other Serie A clubs, namely Brescia and Fiorentina. Italy will begin the qualifications with two matches in September. The first match at home vs Moldova on Sept. 15th, followed by an away match four days later at Romania on Sept. 19th. Italy is in group 6 and will face, in addition to Moldova and Romania, Portugal and Belgium. Twenty-four teams, including host France will compete in the finals in the summer of 2019. There will be six groups of four teams with the top two plus the four best third-placed teams progressing to the knockout phase.